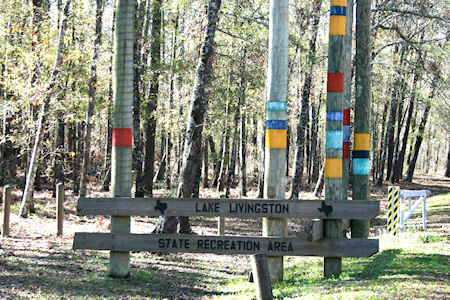 Lake Livingston State Park is a great place for almost anything that has to do with water. Boating, water skiing, fishing or swimming, you can do it here. But most of those activities are reserved for the summertime but my favorite time to be in the park in the winter months. The leaves turn in the fall of the year and the sunsets are spectacular. 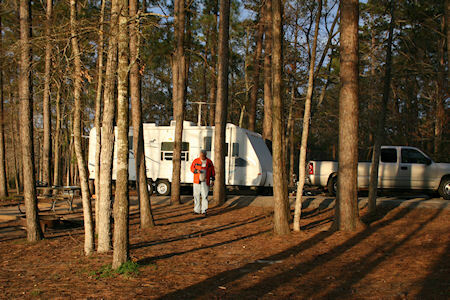 I always try to get a campsite in the "Piney Shores" area right on the water and heavily wooded. The park does charge a premium for these sites but it is well worth it. 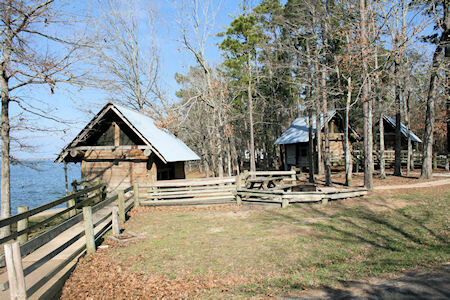 All campsites in this park are back in sites. The other thing that I like about this park are the screened in shelters. It's been long time since I have stayed in a screened in shelter but the location and the way these are placed at or on the water is great. There is also the opportunity to ride a horse on a trail ride down special equestrian trails with a guide. Seeing the flora and fauna from the top of a horse is very special. 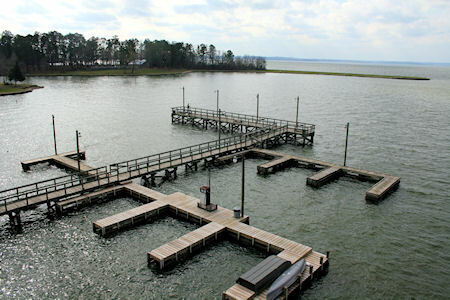 The fishing dock is a great place for anglers of all ages to try out their skills. The park ranger can provide special fishing tips for this lake. The park also has a great swimming pool that is open in season. Summer or winter, on or off the water this is a great place for a family or an old retired guy like myself.